A video guide on how to add a Portfolio into the MAUS Stockmarket Plus software. 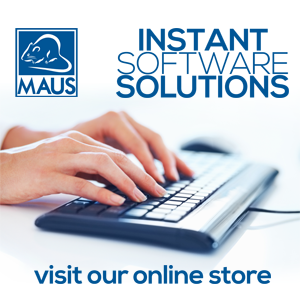 A video guide on how to add a stock into the MAUS Stockmarket Plus software. A video guide on how to import price data into the MAUS Stockmarket Plus software. A video guide on how to do a stock split in the MAUS Stockmarket Plus software. A video guide on how to change a stock code in the MAUS Stockmarket Plus software. A video guide on how to merge portfolios in the MAUS Stockmarket Plus software. A video guide on how to backup your database in the MAUS Stockmarket Plus software. A video guide on how to restore a database into the MAUS Stockmarket Plus software. The full Your Business Success series is available for purchase online. If you enjoyed the samples available on the Business Club and would like to order the complete series just click here. The complete Whiteboard Series is available for viewing on on the Business Club. Why don't you check it out now - just search for Whiteboard Series or click here. To your left you'll find links to our software product pages. We cater for small to medium enterprise with simple software solutions that fit your needs. Free trials are available for most software packages. For more information, visit the links or contact us. Copyright 2019 © MAUS Business Club All rights reserved.